See the UChicago Campus Biking Resources including a Campus Bike Rack Location Map! The Nobel Prize winning physicist pressed for urgent action on four carbon-management technologies. Climate change will drive stronger, smaller storms in U.S.
Law students at the Abrams Environmental Law Clinic are working with Recovery on Water, a group of breast cancer patients and survivors who row as therapy, to improve water quality for the Chicago River. 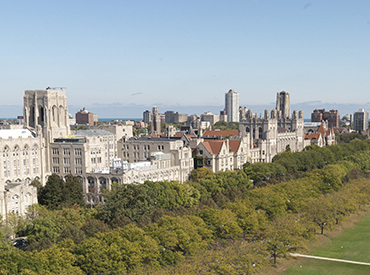 At the University of Chicago, we are seeking to place clear parameters and identify measurable results around what it means to be truly sustainable. The Sustainability Plan is organized around 9 areas and we approach each with aggressive focus, real metrics, and lots of enthusiasm. On campus and in the City of Chicago, you can recycle a huge array of items—from cardboard to computers. This directory can help you with all your recycling needs. The Office of Sustainability, within Facilities Services, is currently focused on five areas of the Sustainability Plan. These five areas include Climate Change and Energy, High Performance Buildings, Waste Reduction, Water Conservation, and Building Awareness and Partnerships. 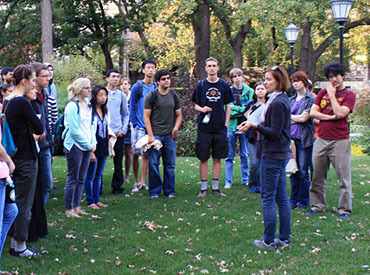 There are many ways to get involved with sustainability efforts on campus. Whether you are a graduate or undergraduate student, faculty, or staff member, your actions can make a difference.